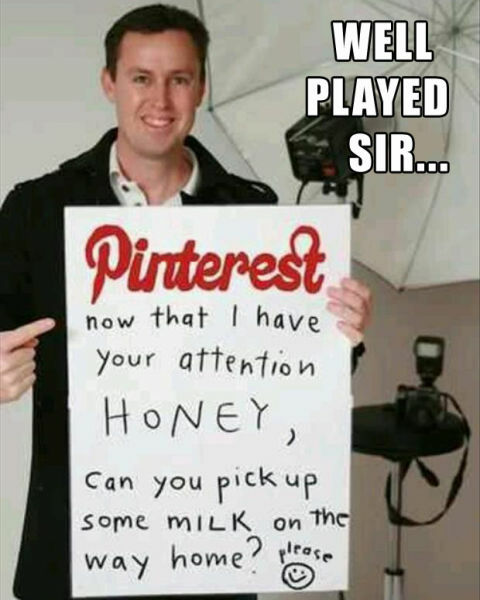 If you are a socialize and spend a good amount of your time in front of laptop screens or use your smart phone most of the time than definitely you have came across these well played memes. Friendship didn’t complete without teasing and mocking your own friends and on social media these memes make it far easier and lot more of fun. In fact, all these memes are not restricted for only friends as they can be used for everyone like wife, husband, boss, siblings, kids, parents etc. Here are some best well played memes to make your day even better. 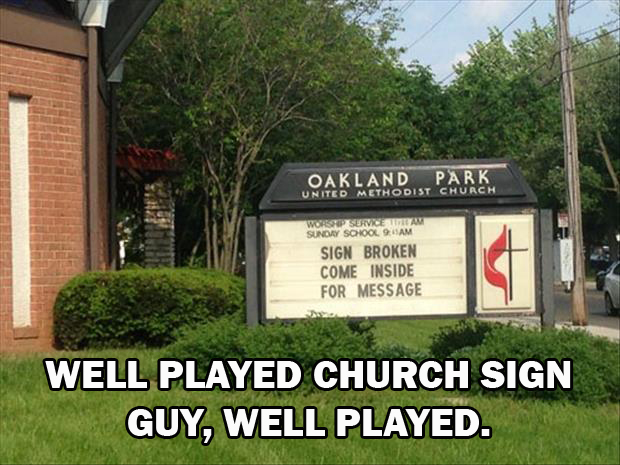 What we never expect from the church is the good sense of humor. It’s refreshing to see that church is opting for other up-to-date ways to attract the people and no doubt it’s a well played shot from the church’s side as this sign definitely convince people to go inside. Why to be the one to cause the trouble for everyone when you know that karma is not a good thing. 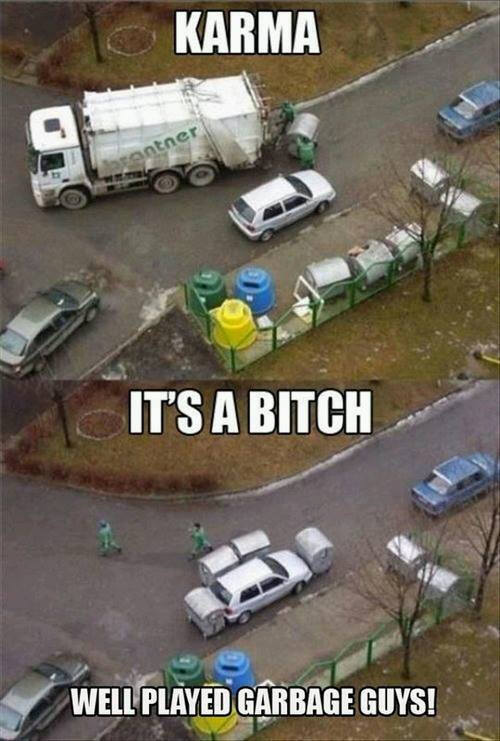 Round of applause for the garbage guys who taught this car driver a lesson for lifetime. Well played guys. When library gives you a mysterious surprise. What a brilliant idea to put all the books in the mystery section in incorrect way so that readers didn’t know what they are getting to read. This is the best way of convincing your child to avoid having an ice cream every time the truck came by making them believe that it’s all sold out already. This dad done the parenting in absolutely right way. People have one job and they done it perfectly, this is the right example of it. Magazines assemble in such a way that it show two people are holding hands. A job done very well. 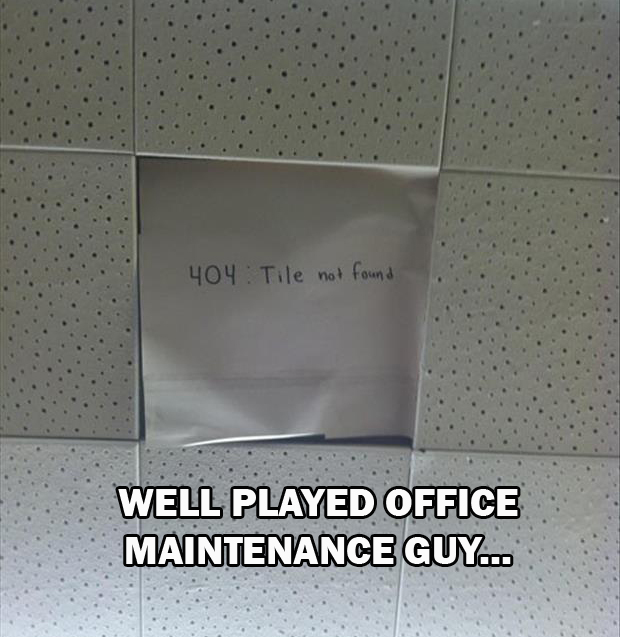 There is no need to worry I tile got missing from the wall. Error 404 is always there to cover up on your behalf. But don’t forget to put it up. This guy brings some important suggestion for everyone who didn’t want to carry the change money. 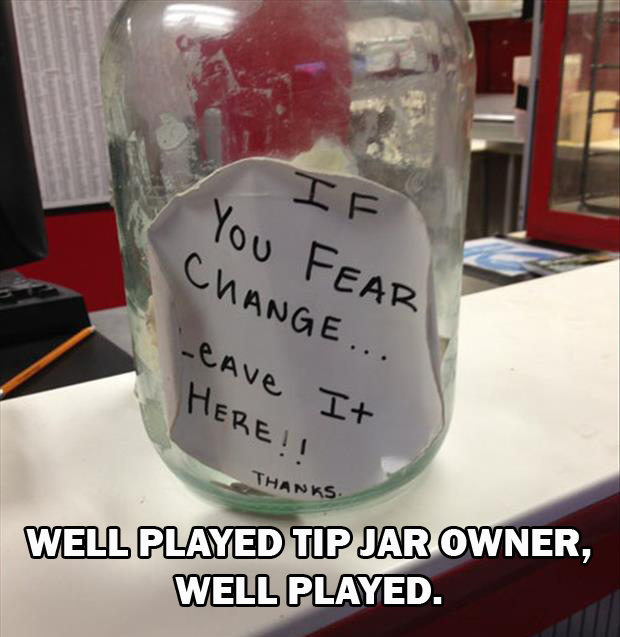 Just leave it in their jar and get rid of your worry for the change money. 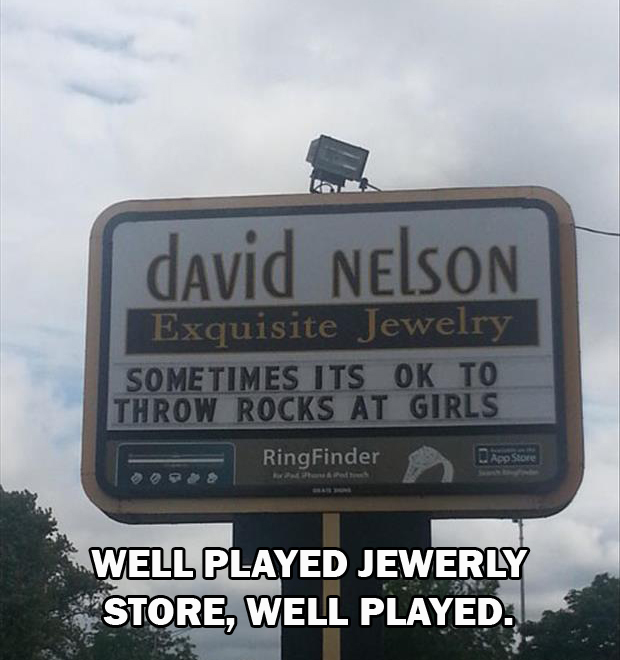 When jewelery store gave you the serious challenge to throw the rock at girls but don’t get wrong because these are the most expensive rocks to throw. 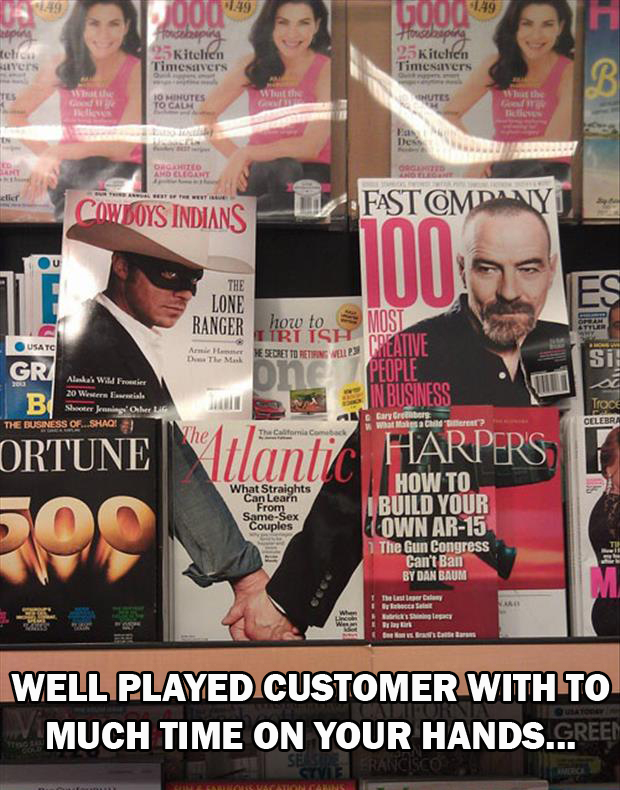 No doubt marketing done perfectly well by them. Twins showed their good sense of humor in their year book but giving this well described quote about their life. 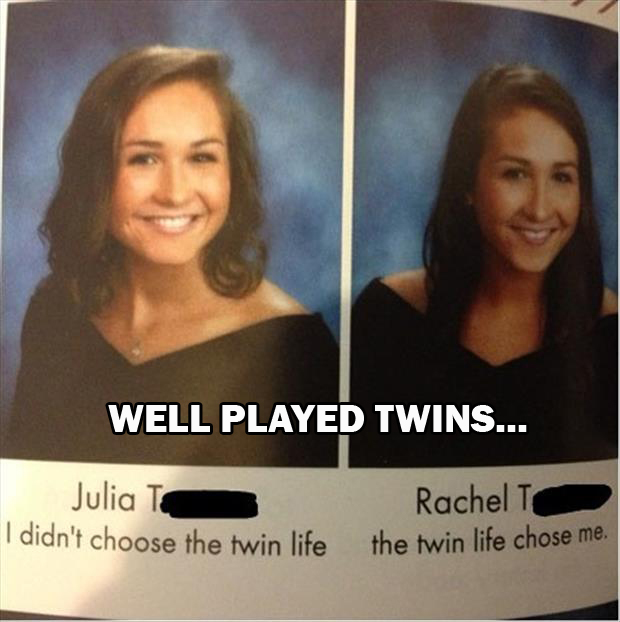 Well played twins, very well played. Burger king didn’t hesitate to show its rivalry with McDonalds and openly show how happy they are on downfall of McDonalds building by putting up the sign of “RIP McDonalds”. 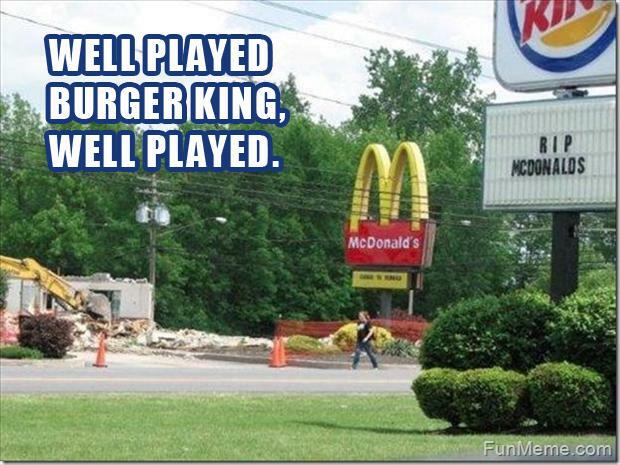 Well played burger king. Remember the famous cartoons Scooby doo, where we were more focus on Scooby and his actions and didn’t understand the hidden meaning behind the other characters dialogues. 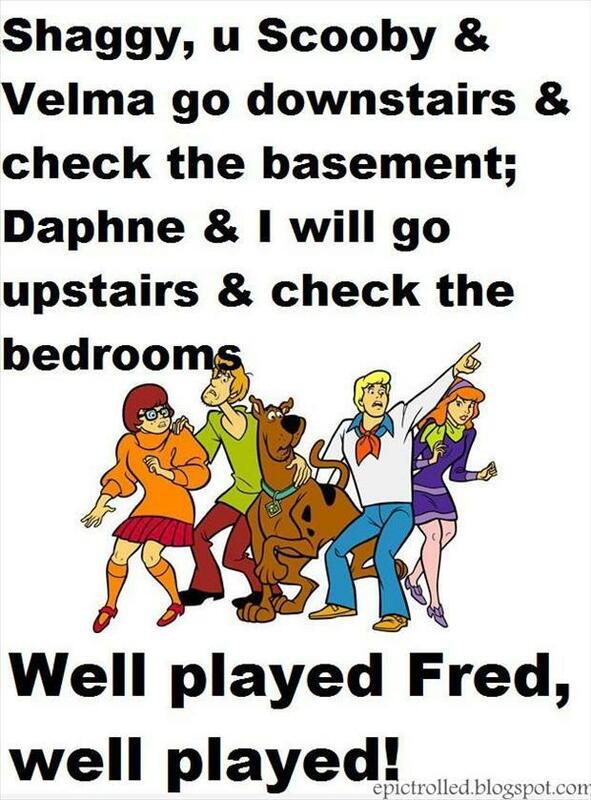 We were too innocent to understand Fred at that time. He played well with our childhood innocence. Ever consider learning Japanese language? It has an interesting way of explaining different things. Like how they wrote “women” and its seems like “noise” is the plural of women. When we face any trouble, we go to security agencies for help. What would happen when they got into trouble? Camouflage jeep trolls the Australian army in the best possible way by getting misplaced. Coke and Pepsi are the two biggest competitors in their industry and both didn’t hesitate to give each other strong competition. This coke 0 and Pepsi 1 thing takes the competition to whole new level. No doubt over the years the life status of horse is completely changed. 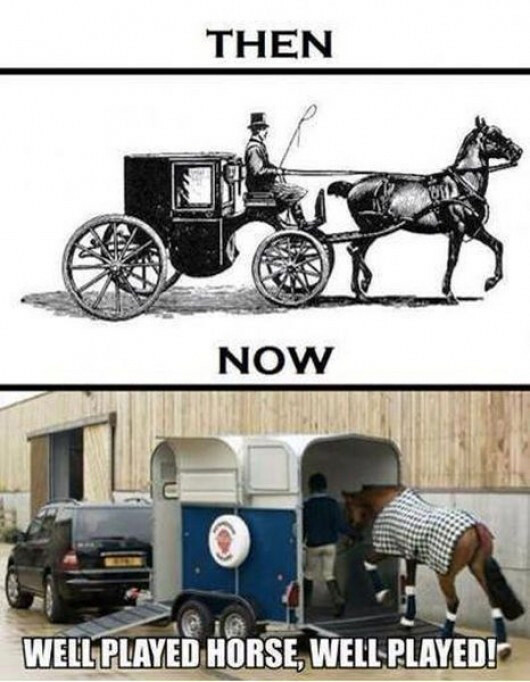 There was the time when he ran in front of carriage and now he went in it. Did you know the worst nightmare of parents that their kids turning out to be exactly like them? And karma always played well in this regard.